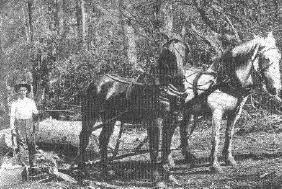 Real horsepower moved the logs in the early days. 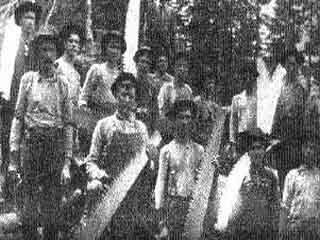 Not so long ago logging railroads, horse teams and crews with crosscut saws were common. 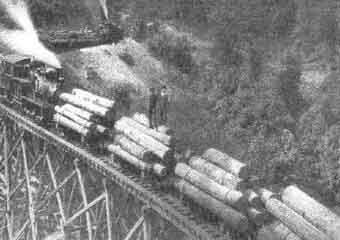 Many West Virginians can warmly recall hearing the train's whistle as powerful locomotives rambled out of the mountains. 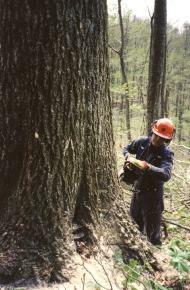 Today our company contracts with professional timber production companies to harvest the trees we purchase. 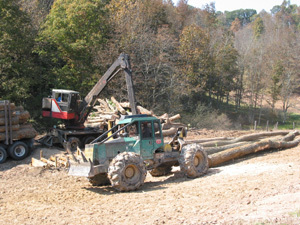 Each fully insured and licensed company is extensively trained by the State regarding compliance with West Virginia's timbering and clean water regulations. 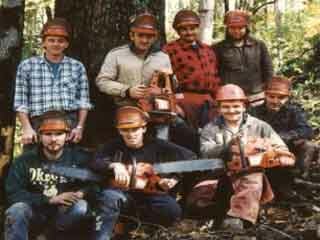 Rubber tired skidders are used to transport the trees to the landing area from the woods. The trees are merchandized on the landing for the highest paying market. 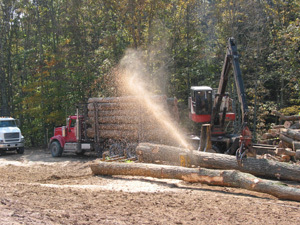 This dandy log will be exported overseas. 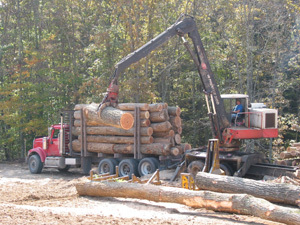 Modern trucks, safely loaded, get the product to the highest paying market.